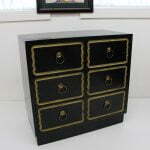 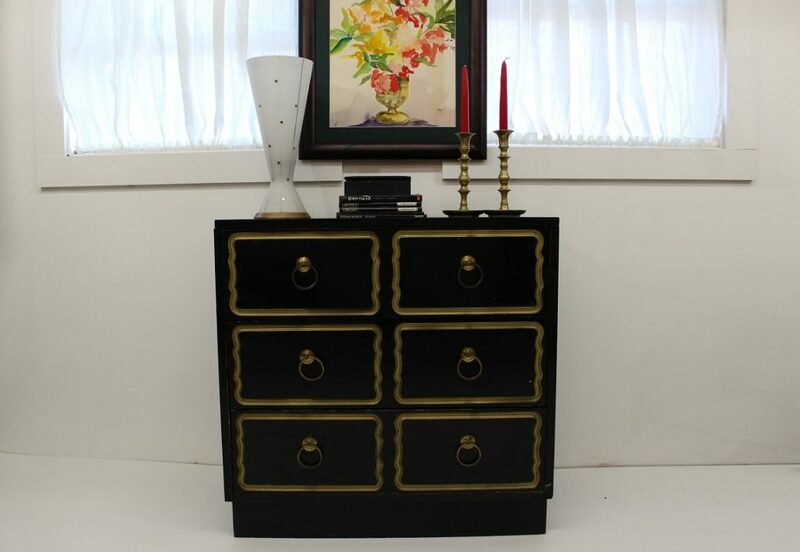 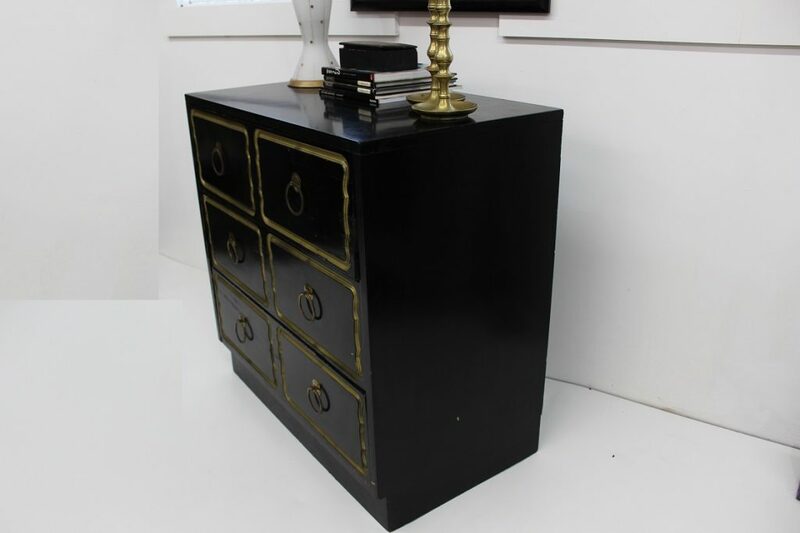 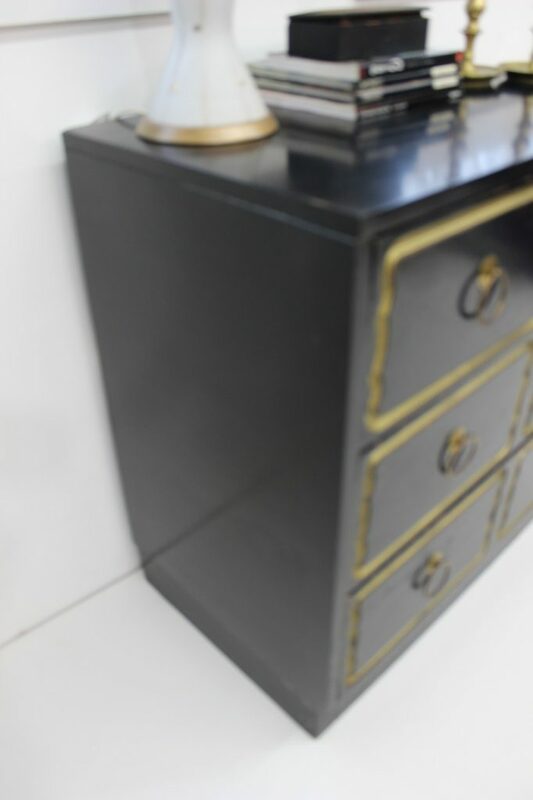 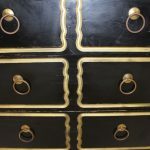 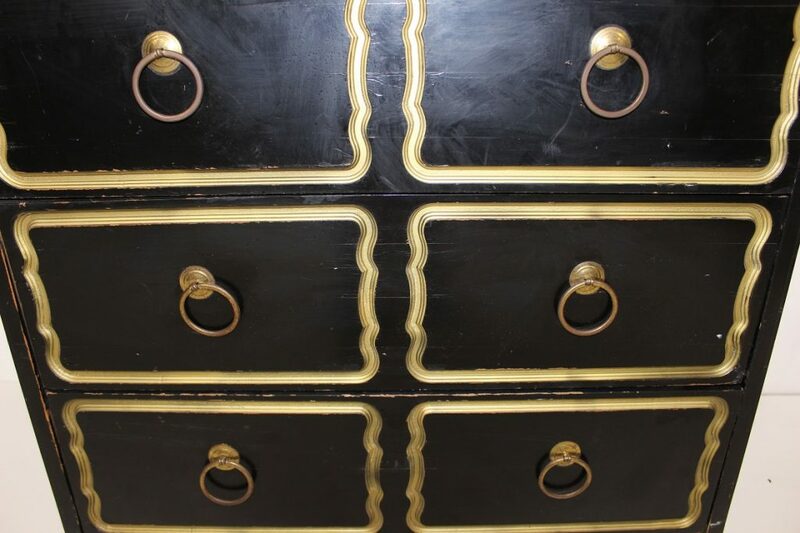 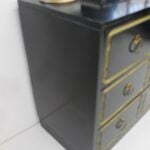 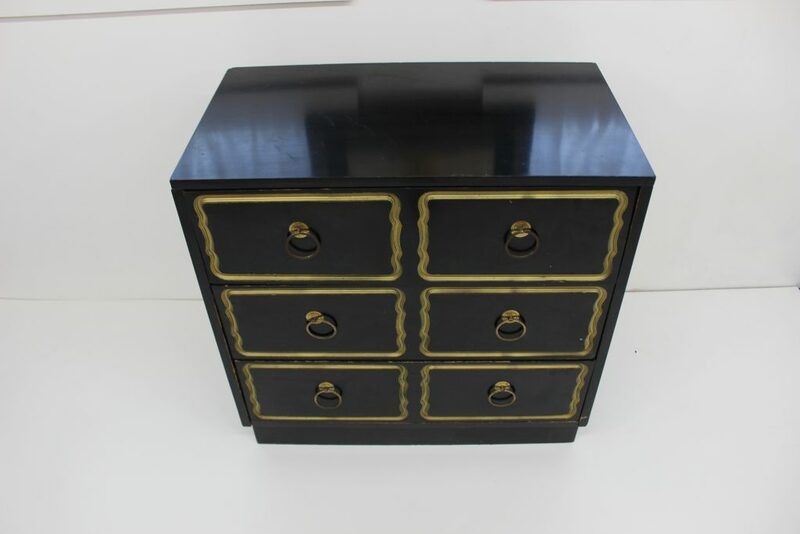 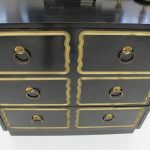 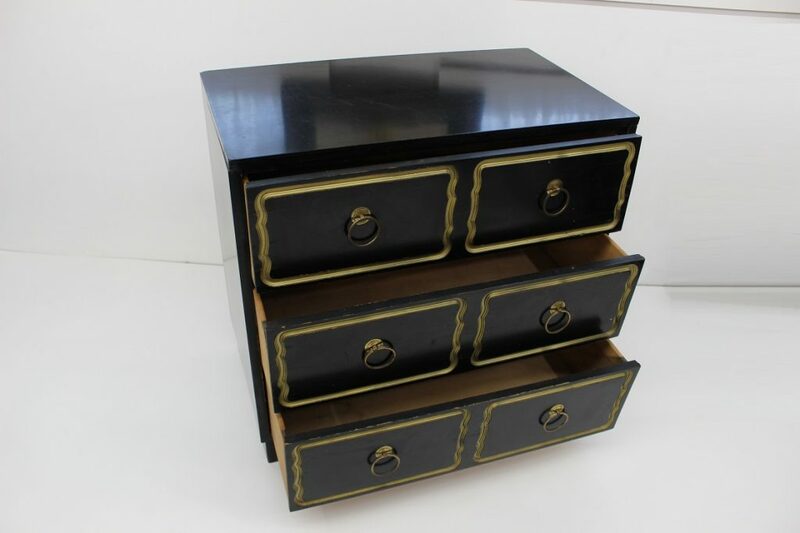 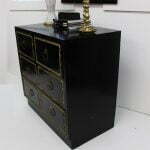 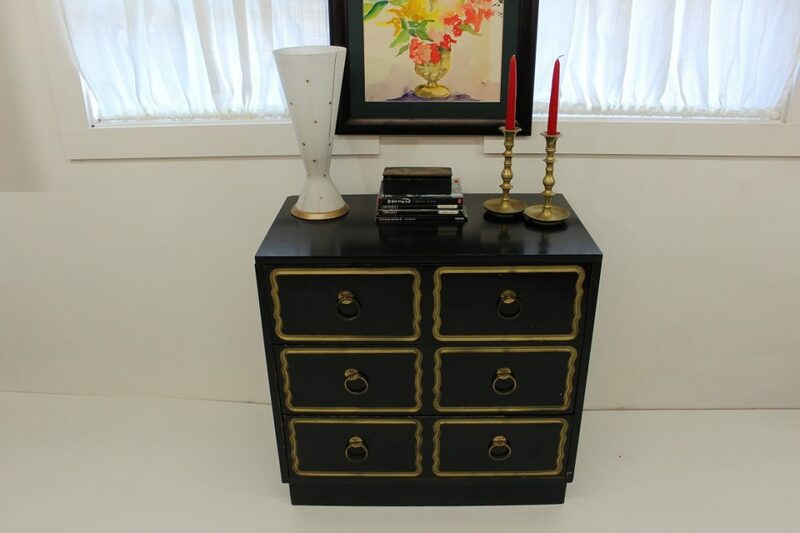 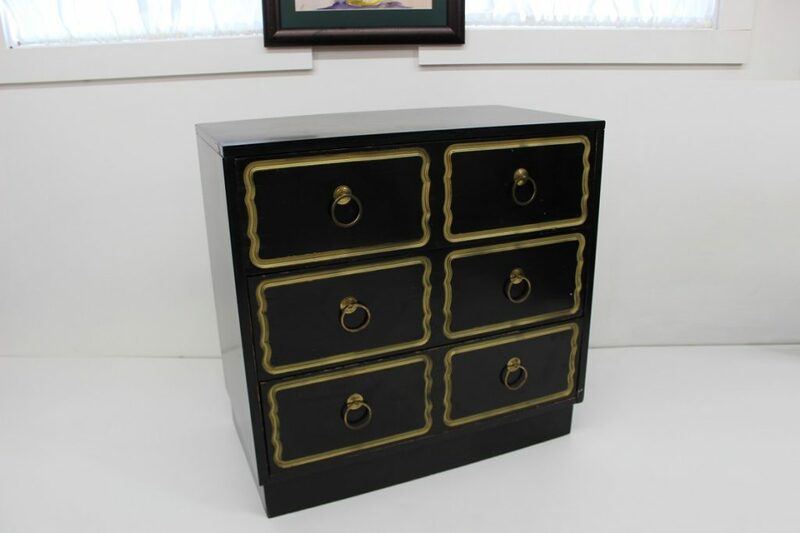 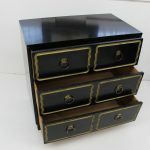 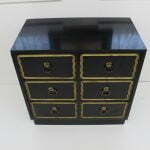 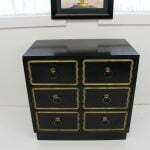 This beautiful Dorothy Draper chest of drawers is coming to you on a petite scale. 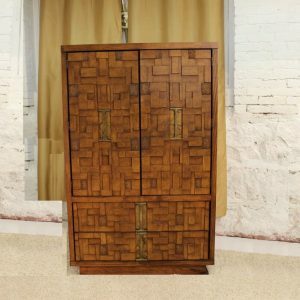 It would be the perfect addition to any space, especially in an entrance, that little hallway where nobody knows what to expect or in a bedroom. 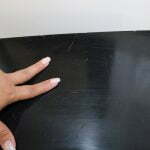 It has plenty of wear and tear all around. 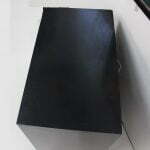 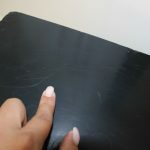 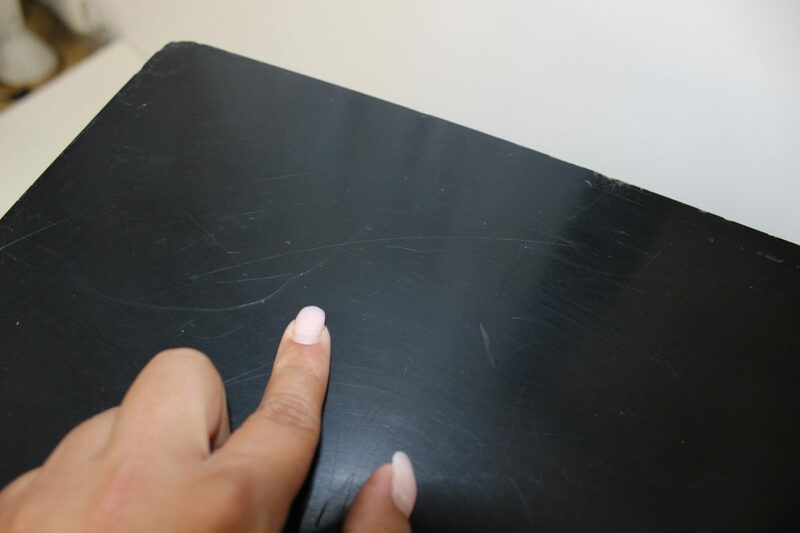 The top has scratches and the front has plenty of wear as well. 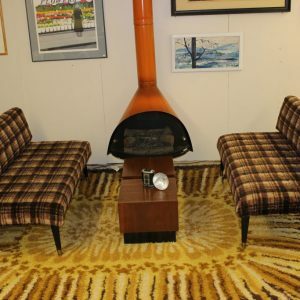 Please look at the pictures as part of the description. As the title states, this design is attributed to Dorothy Draper for Heritage. 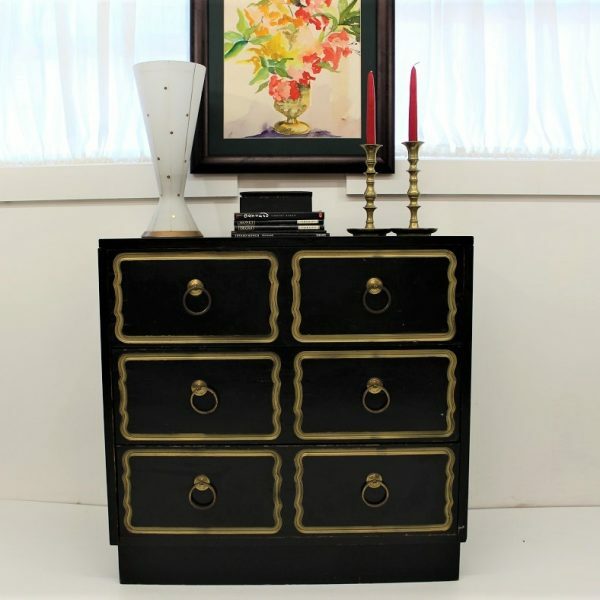 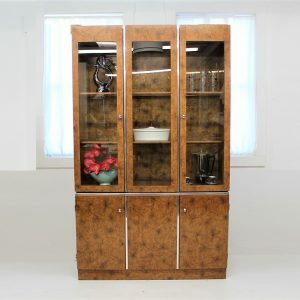 The line is called Espana and it has that glamour from Hollywood Regency that she so much liked. 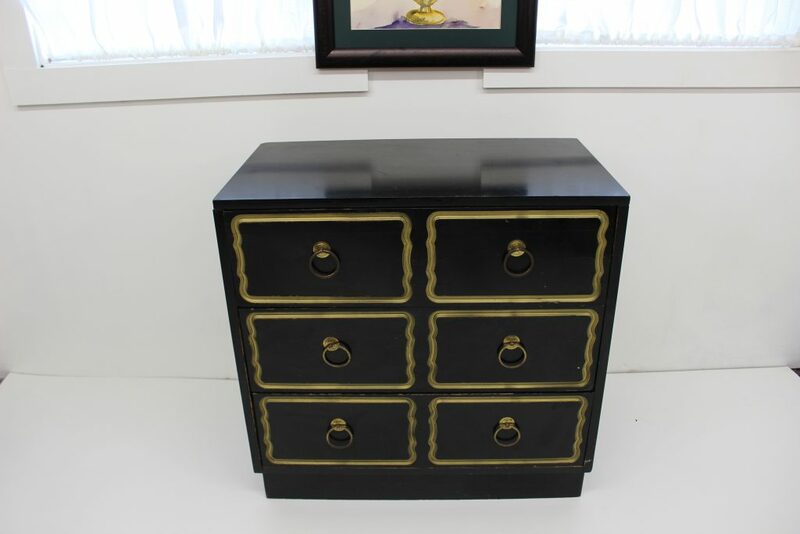 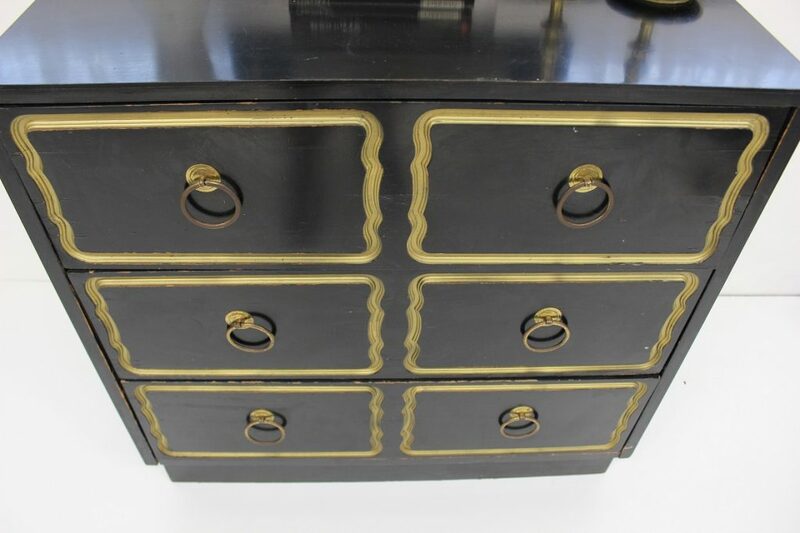 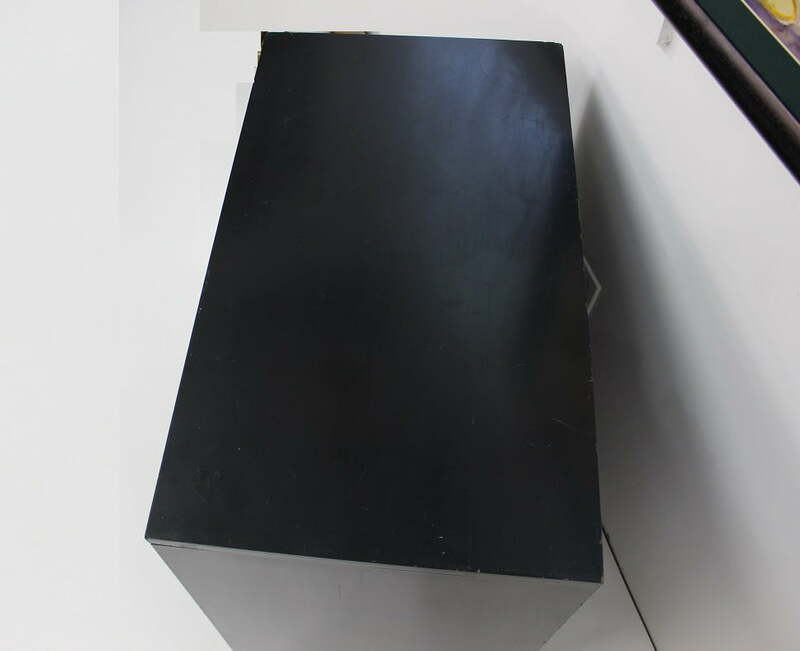 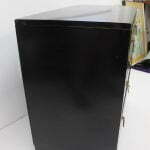 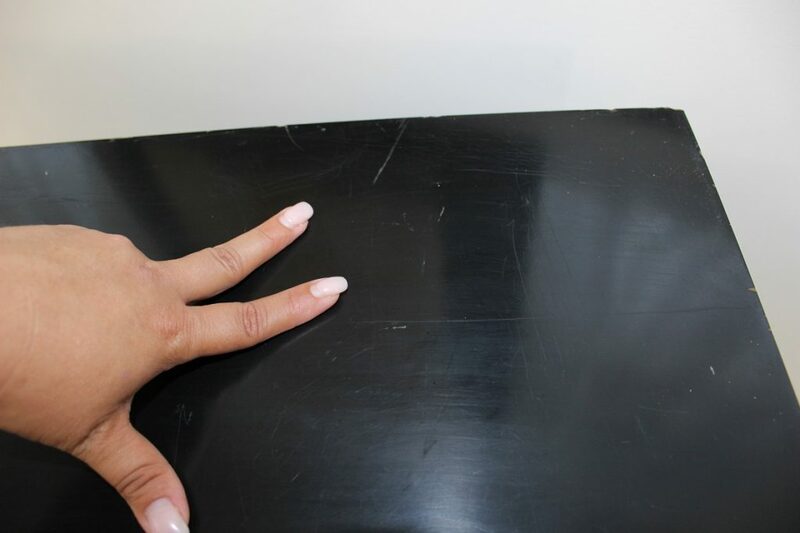 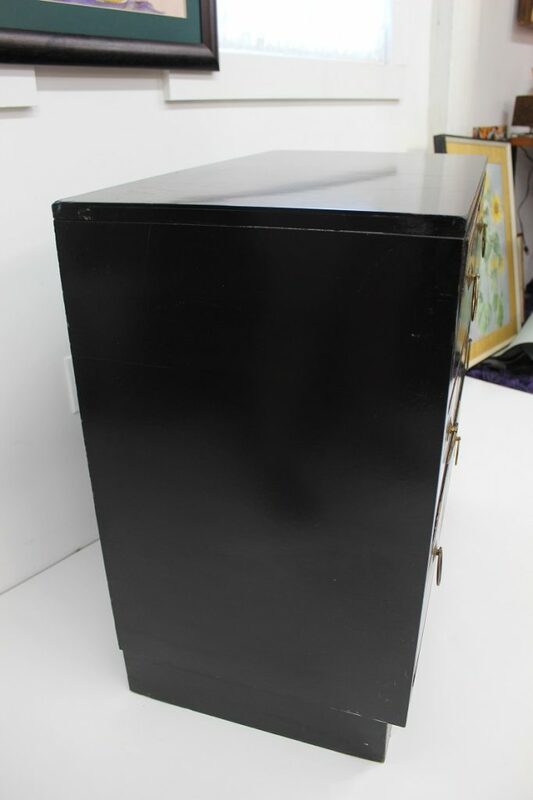 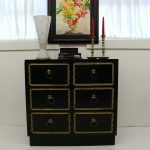 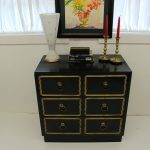 This small chest measures 30″ long by 17″ deep by 30″ tall.